WHEN GOOD MEN DO NOTHING | Thoughts of a Calabarboy. 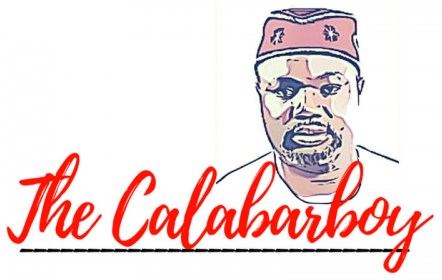 WHEN GOOD MEN DO NOTHING – Thoughts of a Calabarboy. Following hard on the heels of my recent conversations about moving from mere thought and speech to action, I am confronted with a more interesting but disturbing phenomenon in society. It is often mistakenly stated that evil has overrun our lives because we live in evil times, where men are lovers of themselves, and selfishness is the driving factor in every decision men take. Consequently, self-preservation is the utmost reason for the battle of survival, and this evidence in most men is even transposed to become the defining principles of the national interest of most nations. But if we look closely at individuals, you will find that many sacrifice for others to live and live for something beyond them. Most people, despite a determination for self-actualization, are also committed to a circle of other people that they live their lives for and hope to make better through their successes. This means that essentially there is good in every man, and very few set out to explicitly do evil. So then we cannot claim that society is filled with evil men simply because of all the wickedness we see. However, in my monologues about Nigeria, I have asked myself if there are more good people in society, how come then we have more evil people who seem to bear rule over the good. I guess we can explain that it was power that made them evil who essentially had a good nature. Some may argue that there was an evil nature that simply blossomed at the ascension of power, so such men had no goodness in them. I have played with many scenarios in my head on the matter of why men suddenly become selfish and drunk when they are given power. But none of this has helped me solve the question on why a few evil men will successfully hold down the lives of many good people who simply want to make life better for them and for their children, as well as secure a future that is positively predictable. Why couldn’t the plenty overrule the tyranny of the few? History is full of how the ‘bad few’ frustrate the ‘good plenty’ to astonishing levels. I just heard of late that there is a shortage of toilet paper in Cuba, and the government is claiming that this will continue till the end of the year. Cuba has stunning dimensions of poverty and backwardness brought upon its own people by a few ideologues who have pocket the possibilities of prosperity by advancing the ideology of a dead man. North Korea with a population of nearly 24 million people has only about a hundred men gripping their progress by the balls and suffocating their prosperity. Myanmar has over 45 million people and yet a few men are putting them on the periphery of progress and development. If we care to rewind history, we will be presented with too many cases like the Idi Amins, the Hitlers, the Mussolinis, the tyrants and despots who have quenched the lights of their nations and reduced their citizens to crawling on an ever widening road of improvement. In my country Nigeria, we have had our own dose of evil leadership which has crushed our spirits and maimed the faith of the young people in their great country. Yet when I take a closer look, these national impieties were wreaked by a few men who held the nation ransom while good men kept quiet. This is my concern; when good men do nothing. These evils continue unabated over several locations in our world simply because good men do nothing, or what they do is just not good enough. When good men do nothing, evil will take over; it is as simple as that. Edmund Burke truthfully states that “all that is necessary for the triumph of evil is that good men do nothing.” When we keep quiet at the wrong we see, when we refuse to take drastic actions against even the petty malfeasance and nonfeasance which we notice in our little corners, we have then silently given consent for evil to rule. It is absolutely unacceptable for a handful of selfish and fiercely greedy people to control our destinies while all the good men keep quiet, or move with trepidation founded on a desire to preserve the self. Someone put it this way: “The death of a thousand good men is not as tragic as the leadership of one evil man. “ The scriptures also say “when the wicked rule, the people groan. “ No matter how good the passengers of a car are, if the driver is a bad one, nothing can save them from a tragic crash. This is the predicament in many countries today; great people, bad drivers. Have you considered all the wars in history? Check it out! Most were caused by the belligerence of a few proud men, but the casualties were mostly good people. Remember Rwanda? Good men did nothing! A friend of mine once told me a story of how he was travelling in a car along with three other people only to observe that the driver was fast asleep yet driving at 80km/h. He slapped him on the arm, told him to stop the car, came down and took over the driver’s seat. In November 2006, I was on my way back from a trip and hired a taxi to take me home. I wondered why the car was unstable on its path till I found out the taxi man was dozing. Because my life and destiny was at stake, I shouted at him, stopped the car, and drove myself home while he continued his sleep. Like me and my friend, this is what good men must do in their domains by taking charge; else we are simply an accident going somewhere to happen. I agree and believe almost every individual is and has good in them because we have the breathe of God in us. However most refuse to stand up to evil due to FEAR. Fear of been singled out, persercution and above all death for speaking as well as standing for the RIGHT and TRUTH. We must cultivate and practice courage as a virtue so as to face evil men and thier acts as oppurtunity allows. It is a daring challenge but possible to accomplish. Thanks Nana, I wish many of us will assume courage in our respective countries, especially in Africa. Few evil men are determining the course we take and this is not right.